Analysis of discourse markers has gained more and more attention over the past 40 years in the field of Linguistics (Schiffrin 1987; Fraser 1999; Schourup 1999; Redeker 2006; Buysse 2012; House 2013). Primarily in syntax and pragmatics, the study of discourse markers (DMs) is concerned with the use and function of DMs in language. 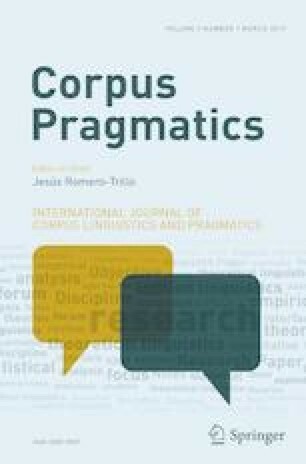 In combining semantic, pragmatic and syntactic aspects, Graham Ranger’s Discourse markers: An enunciative approach (2018) provides yet another approach of analyzing DMs, which is based on the Theory of Enunciative and Predicative Operations (TEPO). He introduces this approach followed by an applied part of analyzing various DMs and thus illustrates that this approach, even though very complex, could be an alternative way of analyzing DMs.